There are times when having “3 degrees of separation from Matt Groening” (as I have described several times) can pay off. This actually wasn’t one of those times. Well…maybe just a tad. But, when it came to Chester Dupree, I could tell that there were some things that added up to a bigger side story. As we wrote about in our book, The Simpsons Tapped Out runs on a far different schedule than the TV series. The involvement of actual Simpsons writers is really more of “an influence,” than part of the actual job of writing scripts. I have this feeling that it may even be something doled out as a punishment to some of the junior writers and production assistants looking to get actual screen credits at some point. Whatever the case, suffice it to say, that the writing, voicing and animation of The Simpsons is a MONTHS long process, with few opportunities for rewrites or changes at the last minute. Homer is about to order fast food, while renouncing healthy food choices, and a thought bubble appears of Marge, reminding him that Dr. Hibbert told him to eat healthier. Suddenly, there is another thought bubble of Dr. Hibbert, followed by one of his wife, Bernice. The following dialogue is exchanged. Marge: Homer, Dr. Hibbert told you to eat healthier! 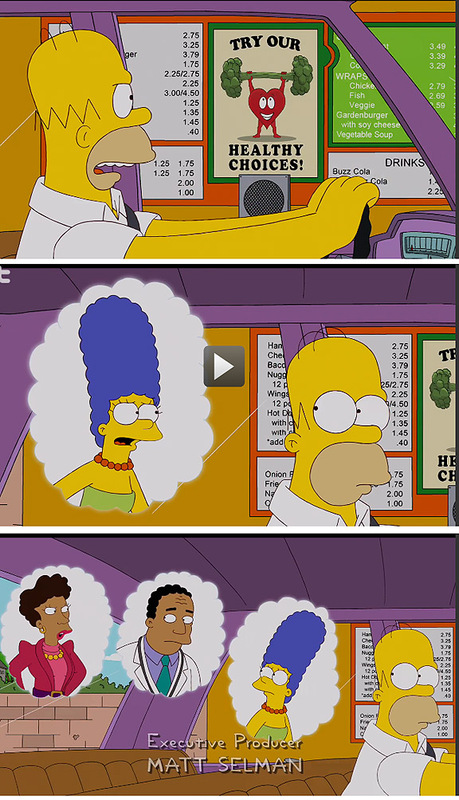 Homer: I don’t recall that! Dr. Hibbert: How do you know that? You got your brother following me? Dr. Hibbert: I paid him to build a shed… Where is my shed, Bernice? OK…there we have it. The FIRST mention onscreen of Hibbert’s brother-in-law, Chester…and an unfinished shed! On November 11th, 2012. Then, on December 3rd 2012…Level 24 is introduced along with the first Christmas update. 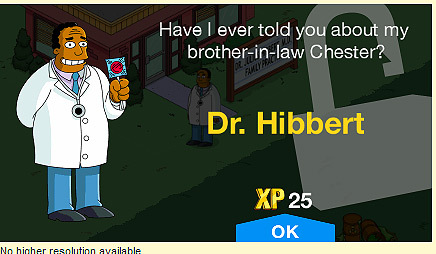 While everyone was wildly flipping past the update screens to collect donuts, then tapping wildly to earn prizes with Christmas Coins, the FIRST mention of Chester in the game went almost unnoticed when Dr. Hibbert is unlocked with the Hibbert Family Practice. 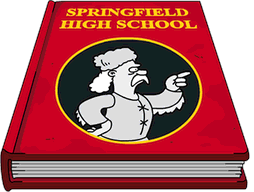 Knowing that it takes months to produce an episode of the Simpsons, a couple of days to create a screen graphic, and maybe a month tops to produce an update for TSTO, why would there be such a HUGE gap between the first mention of Chester in November 2012, and his recent introduction to TSTO nearly 18 months later? The answer is in “The Shed.” Or should I say, “the shed that still isn’t built.” And according to my sources, there is indeed a shed, and a brother-in-law, and a minor abuse of power to send a message. And THIS is where the story gets fun. So- again, back to the source, which is where all great stories begin. But this time, I was lucky that the recent flu outbreak in Southern California altered my standard routine of “call, email, be neglected.” For you see, my “regular contact” was out with the flu, and I got another Production Assistant who after hearing that I wrote for an “International Simpsons Blog” took his chance to have his name in lights, then retracted the offer to have his name in lights, and then begged profusely that I not reveal that he was the source of what he blurted out. After a brief explanation of my intention to get the backstory on Chester, I was interrupted by such a torrent of words, that I was VERY glad to have my phone-recorder in “record” mode, because I could never have transcribed everything in real time. “It’s all over the office. Most of us forgot all about this thing until someone mentioned it in the game. And then the writers started getting nervous,” Production Assistant “X” (or PAX as he shall be known for the rest of this story) began. “The word is, that the whole thing was an inside joke, and the guy who wrote the original gag wasn’t cool with making it all into a character in the game…but, then I guess nobody likes to be called out in public,” PAX said knowingly. “So, you mean this Chester character is real?” I asked. “Oh…I know those types. Eugene is a college town…they are all over the place, driving their tricked out Lexus sedans, with big wheels, and a huge sound system, bumping Tu Pac loud enough to wake him from the dead,” I replied. “Holyfreakinshirt! You mean there really is a shed involved?” I asked incredulously. (I have hidden his real name by way of agreement with both PAX and the writer involved) and that the guy is a class A “Trustifarian,” PAX explained. “Man…I haven’t heard that word in a while. So Chester is a trust fund baby? How in the heck does a shed come into this?” I asked. “Well…it has nothing to do with the writer…I want to make that clear. It’s the writer’s brother that got sucked into helping out,” PAX said, his voice lowered in confidence. “OK…so we won’t mention the writer…but how does a shed come into this?” I queried. “Ok…so here’s the deal. The writer’s brother is married to a real piece of work…ya know…a ballbuster who never lets up on wanting more and more. And she has this brother, Chester, who was 36 and had never worked a day in his life. He lives in the pool house of the brother and the wife…because his parents threw him out, and his parole officer said he had to have a place to live. I guess he’s been busted for trying to sell pot to tourists or something. But, the deal was that the sister made the brother pay for counseling, because Chester convinced her that he was suffering from some sort of General Anxiety Disorder or something… GAD…it’s big around here…anyway…the counselor tells the sister that Chester needs some way to validate himself by doing something productive that can be measured. And the brother of the writer guy finally gives in and has Chester build a little tool shed to keep the pool cleaning supplies in. But, like after a while…like a whole summer or something…the shed still isn’t built,” PAX spews, takes a breath and starts again. “So the Brother tells the writer that Chester is a HUGE Simpsons fan. Never misses an episode, and can’t he do something to shame him publically in the show? The writer thinks the whole thing is hilarious…and writes the little bit into the show…this is like in May or something…of like 2012…right? I mean it is a long time ago. Right? But the funny thing is, I guess the real Chester keeps hitting up the sister for supply money for the shed, and he is blowing it on all sorts of stuff for himself, and the brother can’t say anything to the wife, because it always ends up in some huge fight…so he just keeps his mouth shut. And then the REALLY funny thing happens… the lazy programmer dudes at EA see the episode, and are about to introduce the doctor dude into the game, so they stick the line in there about Chester, because it’s just kind of a throw-away thing that they want to use…and they don’t even KNOW there is a real Chester…or a real shed or anything,” PAX chortled. “Dude!!! That’s the funniest part! Chester thinks he’s a freakin’ rock star now! And the shed is like some sort of shrine to milking the system or something. 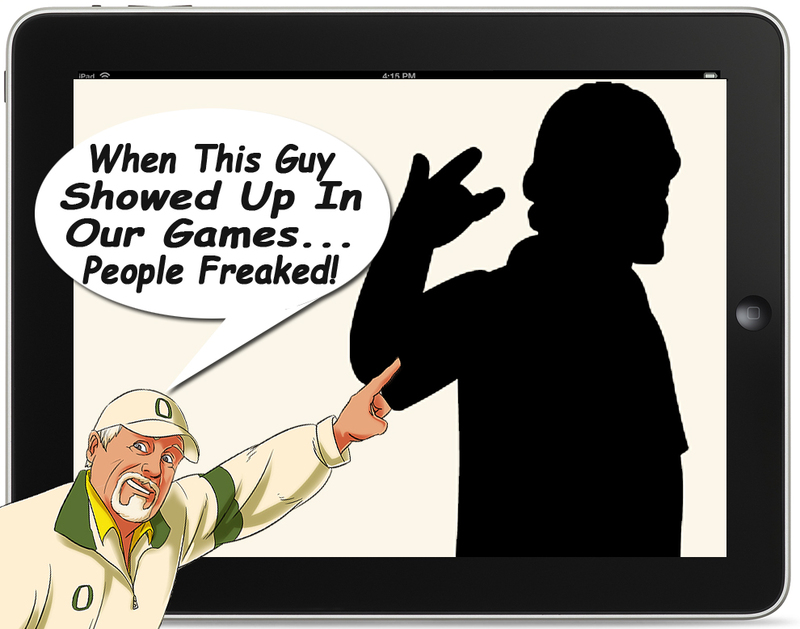 He plays the game…that Tapped Out thing and I…” PAX stumbled and stopped, then started again, “I mean…you know… I mean, no offense, but nobody around here plays the game anymore. The last couple of guys still playing got pissed off at Easter…I don’t mean to be harsh or anything, but…well…it is kind of slow, and…” PAX’s voice trailed off. “Look…no offense taken. I get it. A LOT of people are bummed by the way the game is going…no worries…So…let me get this straight. There is a REAL Chester, and a REAL Shed, but he isn’t black, and this guy is now like 38 and has no shame whatsoever?” I asked, my voice raising an octave in disbelief. “You got it. It’s like everyone involved can’t believe something started two years ago, with an inside joke, is still alive and kicking…and is part of a game that is almost two years old…freaky, huh?” PAX asked. “Uhm…wow…that IS wild…” I said my own mind trailing off as I did the math. 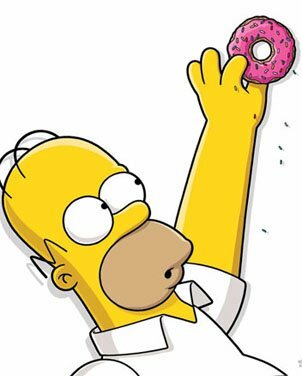 TSTO debuted in the UK Feb 29th 2012 (leap year…not a good omen), and on March 1st in the United States. So, shortly after that, the fated concept of Chester was written into the script, but didn’t actually see the light of day until 6 months later, and in the game another month after that. And during the entire time, the REAL Chester was languishing in his pool house, on his Brother-In-Law’s dime, and sucking extra money from his sister for supplies for a shed that was never completed. There is a TSTO metaphor in there somewhere…but I’m not going to dig it out. You can decide how much money and time you have thrown at a handful of inside jokes from writers who don’t play the game. But, I’ll leave that up to you! 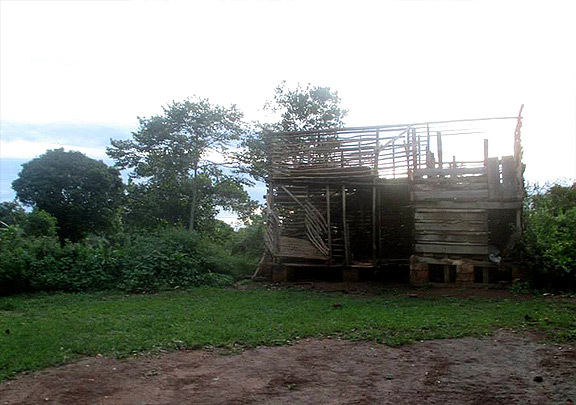 And when you zoom in to full resolution, you can see that it is indeed an Unfinished Shed Structure… Uganda style! But here’s the REAL “NUGGET”…unlike the job that Chester began and never finished, YOUR GENEROUS DONATION took us one step further toward finishing our initial goal. And MOST of you did it without expectation of a reward, or any compensation, other than responding to those less fortunate than you. I THANK YOU personally…for your thoughtfulness and generosity! Here’s to changing lives…one Community taking care of another! Since writing this, you know the REST of the story. Friends of Buyijja, primarily with the help of Tappers like you, have provided 15 rounds of Books and Teaching Supplies, solar lighting, a sanitary bathroom, two wells, a rain water collection tank, and countless other items to help make the lives of these children better. Unconditional gifts of Peace, Hope and Love…from The Tapping Community! Since we began, our little school in Buyijja has improved test scores from 24% passing to mid-90% passing every term. And the rate of children going on to secondary school has increased from 38% to 87%. All because you took a bit of your “donut money” and did something that mattered. My heart is full with gratitude for all of those who have participated! 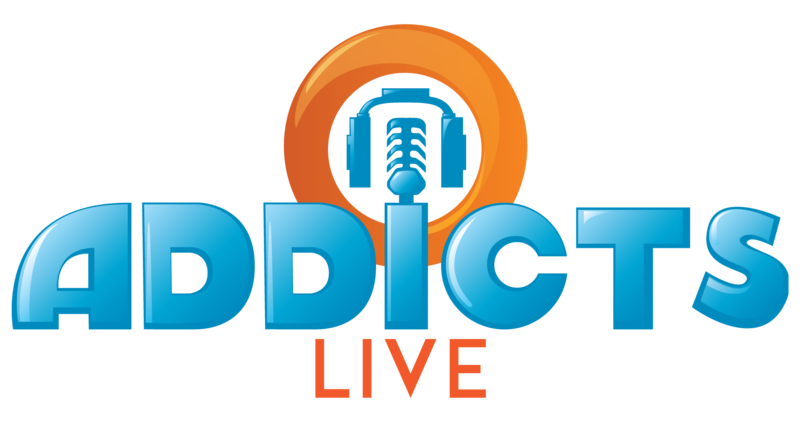 The lives that have been changed, because a dedicated percentage of addicted tappers have given unconditionally, is immeasurable. This entry was posted in Friday Filler, Tapped Out and tagged Chester Dupree Simpsons, Chester Dupree TSTO, Tapped Out Tips and Tricks, The Simpsons, The Simpsons Tapped Out, TSTO, TSTO Addicts, TSTO Community, TSTO Patric, TSTO Tips & Tricks, TSTO Tips and Tricks. Bookmark the permalink. Patric you literally just blew my mind 😂🤯 I dotn know why this is so amazing or cool, but it is. Thanks! So happy your organization is doing well. 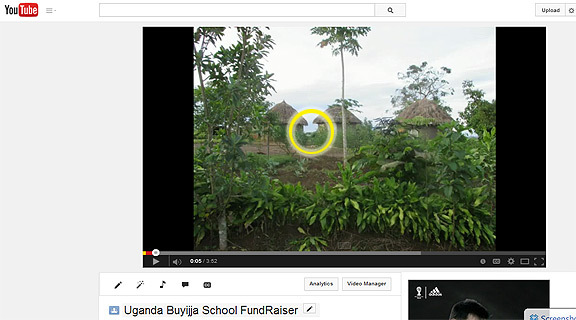 Cheers to that shed in Uganda! I would like to send a little something extra. I don’t have very much at all, rather pathetic to be up front, but how do I donate to your tremendous Buyijja fund? Might be one book, or the postage stamp for it, but would still like to contribute and see if anyone here could send a few $$ as well. I can’t believe the difference you all have made over there. there’s still a world filled with humanity, even though it doesn’t seem like that a lot of the time, and it fills me with a little bit of hope. Thanks for the support, and every dollar helps! So, no worries about the amount. We have done most of our work with small, but consistent donations. All good! 2. Among Frank Zappa’s massive catalogue is a song called Dupree’s Paradise. 3. Dupree’s Paradise appears on a CD of Frank Zappa’s 1974 concert in Helsinki; his drummer for that show was Chester Thompson. Holyfreakinshirt! I did not know this. If true…it is soooooo coool! Chester was a Mother of Invention from 1973-75 and plays on the albums Roxy & Elsewhere, One Size Fits All, Studio Tan, and You Can’t Do That On Stage Anymore Vol 2: The Helsinki Concert, which features “Dupree’s Paradise”. The funniest part of this to me was that members of the literal Simpsons staff got pissed off at Easter and quit playing. That event was the ACTUAL worst. Agreed. Nothing was worse in the entire history. I hate Chester’s. A.K.A. Brother in laws. Lived on my couch. Devoured our groceries, drank my beer. Wrecked my love life. Bought him a one way ticket to Vegas..Problem solved! Don’t neglect the terribleness of sister-in-laws…worst year of my adult life! Interesting post. On a different note do you know anything about the big update that came out Saturday? And what update might that be? So many Chesters in the world. Great story on so many levels! Thanks Scott- was on my old site- TSTOFriends. First time here. Great stuff. I think that many (if not most) of us have a “Chester Dupree” in our lives.